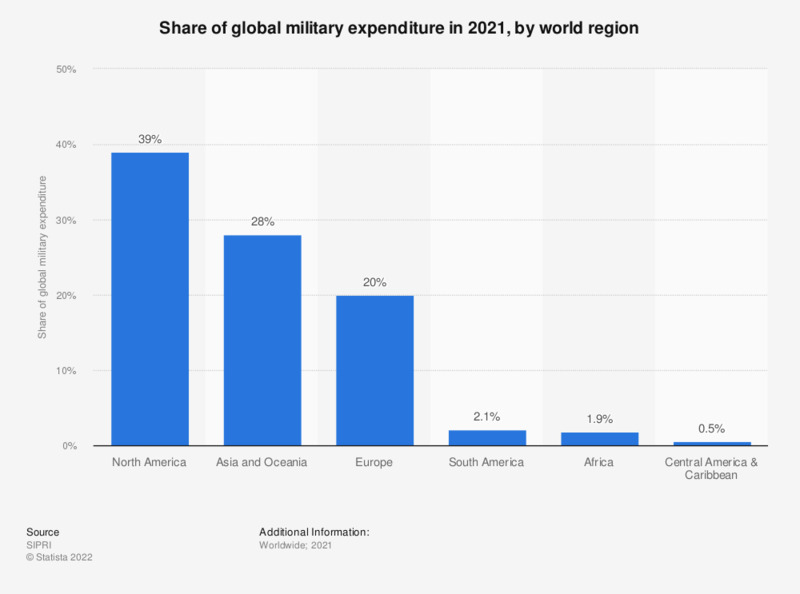 The statistic shows the percentage of worldwide military spending attributed to world regions in 2017. In 2017, Africa accounted for around 2.5 percent of the worldwide military spending. In 2017, world military expenditures amounted to a total of around 1.74 trillion U.S. dollars. SIPRI is not publishing an estimate for the Middle East for 2017 as data for 2017 is unavailable for several countries.